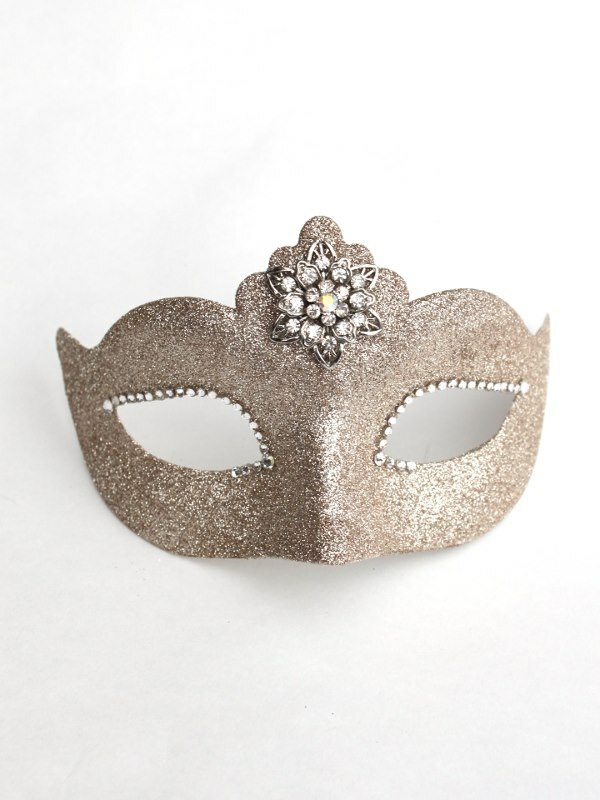 This petite shaped genuine Venetian mask base, is handcovered in a fine sparkly cool gold glitter and decorated with a diamante flower decoration to the centre & genuine Swarovski crystals around the eyes. 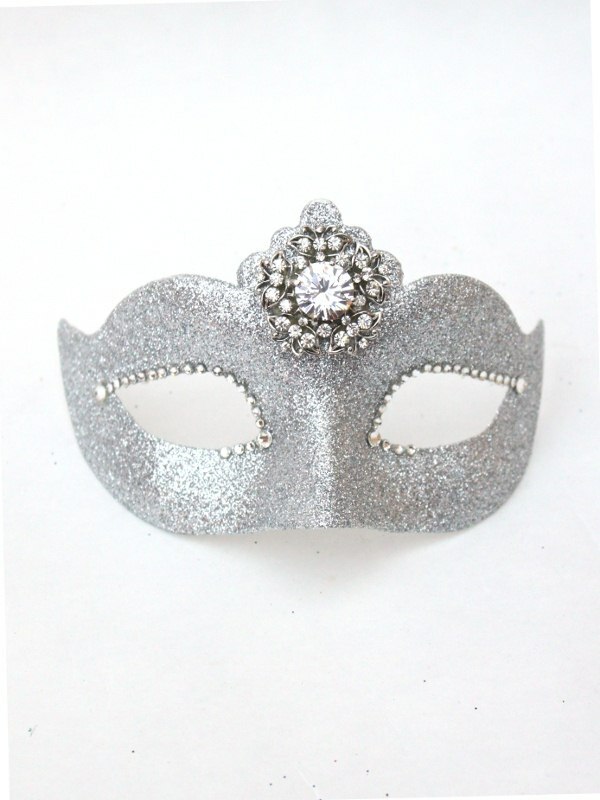 Very pretty mask, suits slimmer faces. Also available in silver, black or navy blue as standard. Other colours on request. Ties with ribbons. Customise with a stick below.